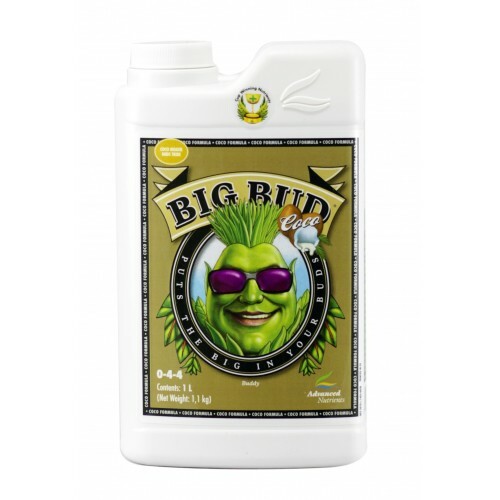 Advanced Nutrients Big Bud Coco still has all the benefits of the world-famous original Big Bud and in addition it’s been optimized specifically for Coco Coir growers.It’s a known fact coco coir naturally attracts and binds to calcium and magnesium. This means your average nutrients will have a greater percentage of their Ca and Mg bound to the growing medium and not transported to your plants (where you want them)… potentially starving your precious crops! What’s more: coco coir contains high levels of naturally occurring potassium… and… if you fail to account for this already present amount of potassium your risk poisoning your plants via potassium toxicity! Increase Your Flower Size By Helping Your Plants Breathe and Metabolize. But there’s even more to it … other substances such as citric acid directly supplement cellular respiration, help your plants transfer nutrient and energy from roots to all other plant parts, and increase your plants’ ability to transform sugars into energy. In addition, ascorbic acid (as ascorbate) revs up photosynthesis. 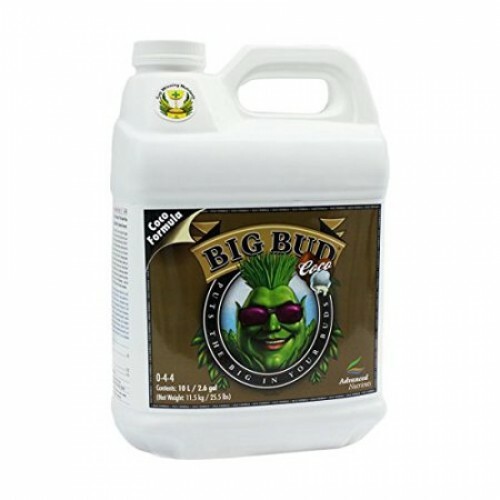 So what we’re trying to get at here is that ascorbic acid, citric acid, all 20 L-form amino acids, potassium, phosphorus, and magnesium, when combined properly and in the correct ratios make the absolute best bloom booster on the market. And as luck would have it, all of these ingredients can be found in the correct ratios in the easy to use liquid bud potentiator created by our scientists especially for use in coco coir. It’s called Big Bud Coco. Coco Coir is one of the easiest and most productive mediums to work with and Sensi Coco Grow A&B..
Coco Coir is one of the easiest and most productive mediums to work with and advanced nutrients Sens..